Half diamond eternity ring, with a total of 1 carat of alternating princess and baguette cut diamonds across a 4.2mm wide band. 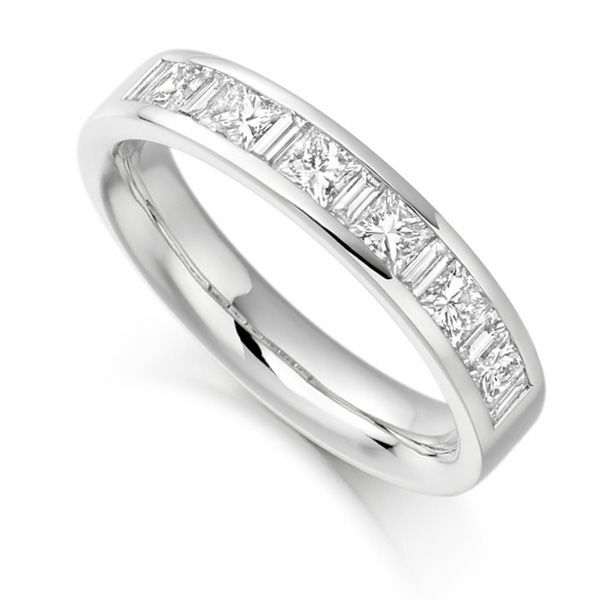 With a mix of Baguette and Princess cut Diamonds within this half set Wedding Ring / Eternity Ring, there is no denying that it is a most luxurious design. Set in an alternating pattern, the mixed cut Diamonds achieve a total of 1ct in Diamond weight. Each Diamond within the ensemble has been expertly graded F Colour and VS1 Clarity prior to being channel set into your ring design. 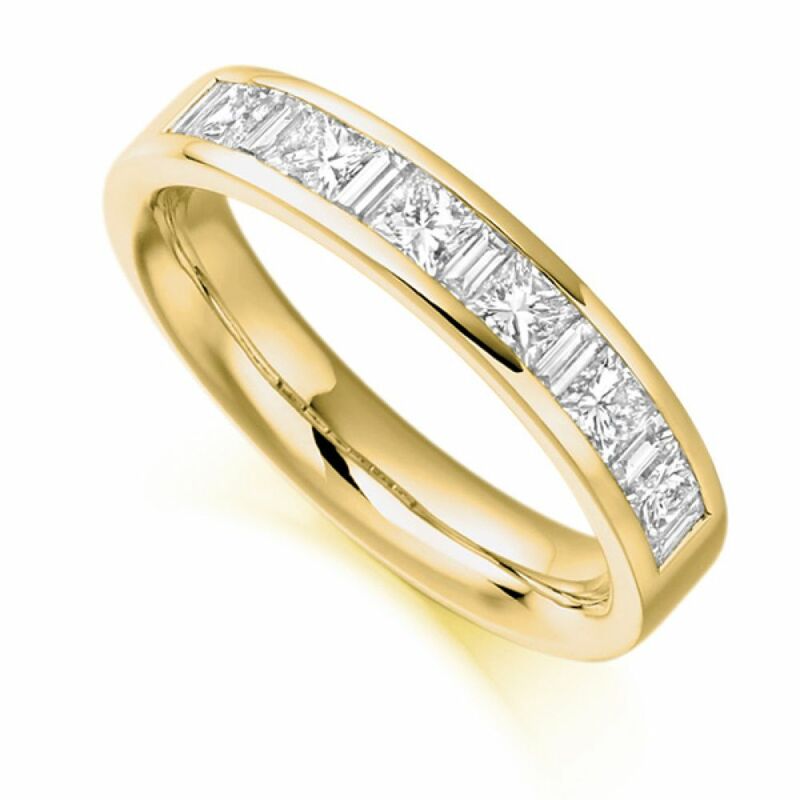 The band itself is a comfortable 4.2mm flat court profile band, which presents the Diamonds perfectly within the flat outer surface, while still maintaining the inner comfort fit of a court profile band. We are able to create your ring in a number of precious metals including 18ct Rose Gold, 18ct White Gold, 18ct Yellow Gold, Palladium and Platinum. Please allow us approximately 3 weeks to craft your ring for you, and it will be delivered straight to your door by a secure courier, neatly presented in our own Serendipity Diamonds packaging.